You’ve tried other self-help books. You’ve tried taking control of your life. 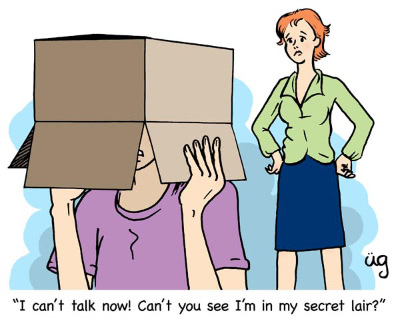 You’ve tried affirmations, to-do lists, twelve-step programs, CBT, NLP and DIY. And… you failed. Well, what did you expect? You’re YOU. 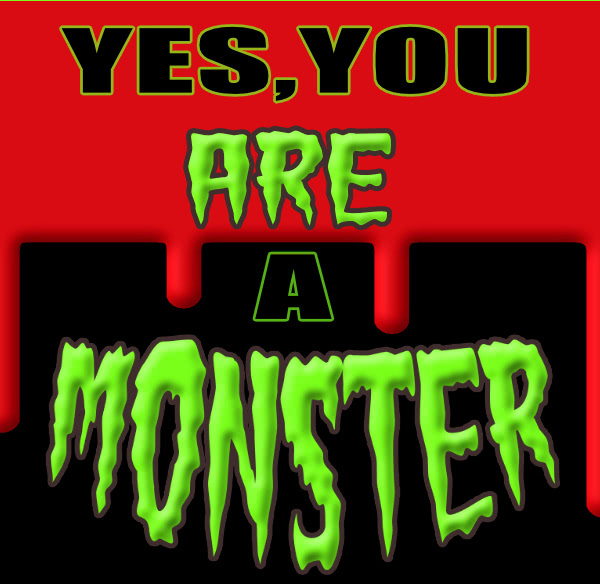 In short, why not admit it right now: Yes, You ARE A Monster! 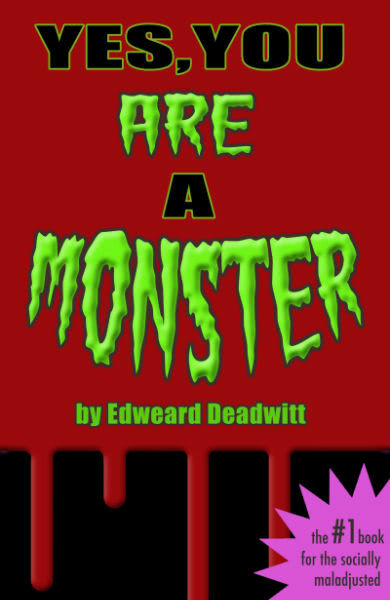 In this searing, heartfelt, and mostly duplicitous book, insane author Edweard Deadwitt lays it all out: how to admit that you are a monster, and how to be the monster that you really, deep down, are. Develop a plan for either taking over or destroying the world! Learn how best to employ a cloak or mask to accentuate your monstrousness! Find a use for that evil-looking wart you’ve been trying to sum up the courage to see the doctor about! Finally, you can stop trying, and just wallow in everything about yourself that makes you NOT fit in! 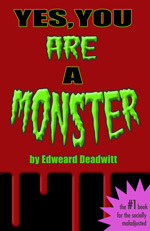 Read the opening of Yes, You ARE A Monster as a PDF, ePub or for Kindle. Copyright © 2017 Murray Ewing.